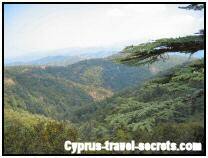 90% of visitors never see the real secret Cyprus. 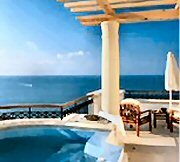 They just come for the three S's - Sun, Sea and Sand and flock to the island in the summer months, staying in hotels in big resorts, villas in quieter locations or even in their own apartments. If sunbathing and totalrelaxation by the pool/sea is your thing then great, Cyprus is a perfect destination with guaranteed sunshine in the peak monthsJune-August. But if you are one of the many people looking for things to discover and DO on their holiday, then come and discoverthe secret Cyprus that most people don't know about. There is no better place to do this than on the West of the island. which covers approximately 1/3 of the western side of the island. 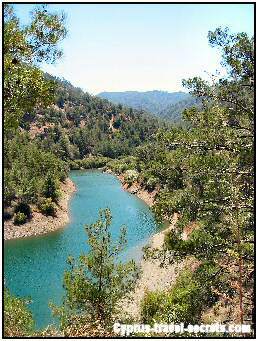 There are hundreds of miles of well maintained forest trails as well as some EXCELLENT new tarmac roads winding through the various forest regions like the Tilliria, Marathasa and Solea valleys, all leading to the more well known alpine region of the Troodos mountains. Keen road cyclists will love the alpine style roads winding up, down and through the forest regions and marvel at the lack of cars as they enjoy their own personal training ground. The more adventurous walker or mountain biker can explore the forest more deeply on the off road trails and, if lucky, will spot the shy Agrino or Mouflon (the indiginous mountain sheep that looks more like an antelope or small deer). Alternatively, why not take one of our scenic tours on one of the newly built alpine roads through the forest itself. The tracks and trails are perfect for rally driving and Cyprus has held several world rally stages over the past few years, bringing thousands of car buffs to the island. In winter, snow covers the higher forest areas above 1000m and in summer, the majestic pine trees, some over 300 ft high, provide a welcome shade from the intense sun. Check out Google Earth to get an idea just how many hills there really are - you will be amazed! Secret Tip: There are many picnic sites deep in the forest which are set up and maintained by the Forestry Department. All are clearly marked on the tourist maps with a small picnic site icon. Most picnic sites are well signposted off the main roads and are accessible by car although once off the tarmac, expect a bumpy ride on a dirt track - a 4x4 vehicle is a must! Check out our car hire page for best prices. All the sites have BBQ areas, small playgrounds for children and toilet facilities (though not all are that well maintained!) You are unlikely to see many other people at the picnic sites unless it is a Bank Holiday when many of the locals make an "expedition" to go there, often with the whole family which can be up to 50 people! One of the most popular times is Green Monday, the first day of Lent, when many families head into the countryside to eat a variety of vegetarian food. This is Carnival time in Cyprus and a great excuse for a celebration. A special feature of this particular bank holiday is kite flying day so now you know why all the shops have kites on display for 2 weeks beforehand! Smigies- a popular picnic site on the Akamas peninsula and an ideal starting point for walks on nature trails. 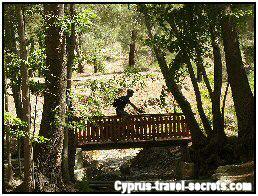 So now you've enjoyed your adventure in the pine forest, click on the links below to discover more of our secret Cyprus. The secret of olive oil and where to get it cheap! Spring Flower Pictures - Stunning! Spring in Cyprus - Best Time to Visit!